Ladies, welcome to the future of ski touring. 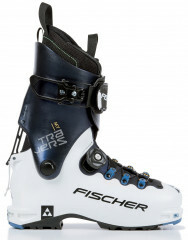 The Fischer My Travers is a long-awaited women’s boot that skis like an alpine boot and yet walks like a running shoe. The My Travers brings the same beloved design, shape, and performance of the men’s Travers with a Thermoshape Lite liner that enhances the women’s fit. 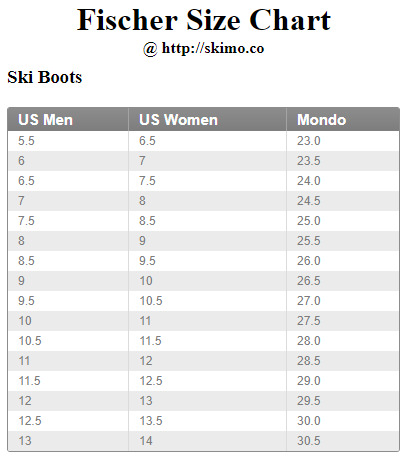 The result is a comfortable, warm boot that really performs. The BOA closure evenly wraps and distributes pressure across the shell so your forefoot and midfoot stay locked in whether it's during a jump-turn or a kick-turn. A single large lever on the back controls ski/walk duties and minimizes moving parts for durability and simplicity. A massive Velcro strap and slider buckle form a reliable grasp around the cuff in ski mode, but also open wide enough to not interfere with walk mode. A sticky rubber sole and built-in gaiter encourage extending the ski season into July by getting adventurous with your approach routes. Interested in everything from mid-winter powder laps to steep skiing in the spring? So is the My Travers. SOMA-TEC contouring ensures your foot is placed in the most capable stance for skinning, skiing, climbing, jumping, cartwheels, etc. A BOA system is made smooth with the help of Pulley Lace Guides to minimize hot spots by evenly distributing the pressure around your foot. Thermoshape Lite liner is warm, ready for a custom-mold right out of the box, and includes laces if you want to further customize your fit. Phatt Maxx Tour Velcro power strap is the solution for good power transmission and smooth walking performance. Active Cuff is a low-friction pivot system that maximizes walking efficiency and also contributes to the lateral stiffness on the way down. Notes Waterproof up to mid-calf. Bottom Line Light, simple, solid.